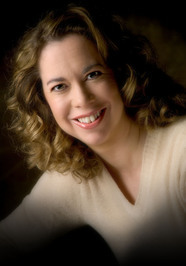 Maria V. Snyder earned an MA in Popular Fiction Writing from Seton Hill University. Her freelance articles appear in magazines and newspapers, and she enjoys teaching fiction writing classes at the local college. (Information gotten from Goodreads.) She is the author of 8 books. - May 25, 2011 Participating in BookExpo America BEA in New York City. Maria will be signing copies of OUTSIDE IN during the Harlequin Teen Hour in the Harlequin Booth #4638. 12:00 p.m. to 12:45 p.m. Also signing in the booth: Julie Kagawa, Hannah Harrington, Kady Cross, and Gena Showalter! (Marriott's Hunt Valley Inn, 245 Shawan Road, Hunt Valley, Maryland, 410-785-7000 ) Balticon has over 300 Hours of Multi-Track Programming featuring authors, publishers, editors, artists, scientists, musicians and other creative SF luminaries. Join over a thousand SF fans for the area's largest and longest running convention of its kind! Visit our huge art show, dealer's room, concerts, dances, gaming room, computer room and video room. Everything Science Fiction and Fantasy in one huge package. (4811 Commercial Drive, New Hartford, New York, 13413, 315-768-1075) 7:00 p.m. to 8:30 p.m.
- August 19-21, 2011 Attending & Participating in Romance Writers of New Zealand's Annual Conference. (1312 E Cary Street, Richmond, Virginia, 23219, 804-788-1594). 2:00 p.m.
Well I haven't read any of those books but I will say they have absolutely beautiful covers!